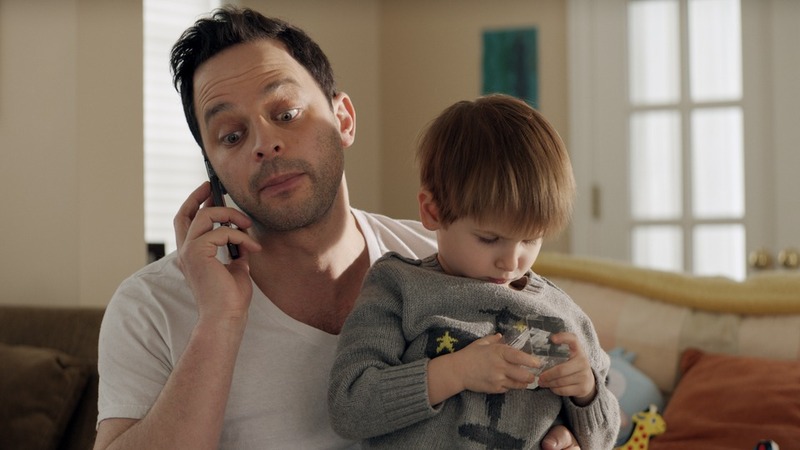 Adult Beginners showcases comedian Nick Kroll (a story writer and producer on the film) and his abilities in more character-based, dramatic work beyond his well-known sketch comedy and parody skills. Directed by Ross Katz and produced by the Duplass Brothers, the film is a light and familiar comedy/drama about arrested development and embracing adulthood through family relationships. Actress Rose Byrne—who continues to impress with her natural comedic instincts—and real-life partner Bobby Cannavale play a well-meaning yet slightly dissatisfied married couple with a young son and baby on the way. After Kroll's Jake makes a big financial blunder, he comes home to live with his sister and brother-in-law (Byrne and Cannavale) and take care of his young nephew while rebuilding his life. Katz with screenwriters Jeff Cox and Liz Flahive occasionally delve into darker, sadder notes with a heartfelt touch and familiar humour. Kroll and Byrne make for an amusing, dynamic comedy pairing as brother and sister with a natural comfort and rapport as they seamlessly play off each other and Cannavale. Adult Beginners is rather likeable and easy to watch yet misses something more and feels a bit slight in stakes or emotional heft. Its winning cast is almost enough to lift the film beyond its reach.